If you are someone who is in the business of making roofs look beautiful, making them waterproof, or repairing them, you can make use of roofing estimates to give the client an idea how much they would have to pay should you be asked to do some work on their roof. 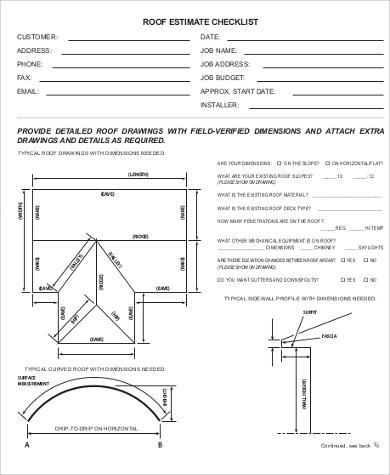 Here we have seven Sample Forms for roofing estimates that you can use for your roofing work. 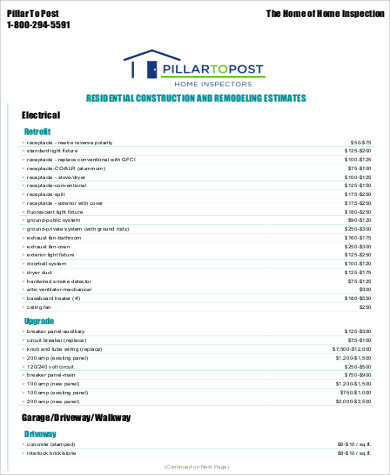 Through these forms, you can list down all the necessary materials that you would need to use and also write down the corresponding cost of each material plus your service charge. Check out the seven samples below. Calculate the total surface area of the roof according to the building plan. 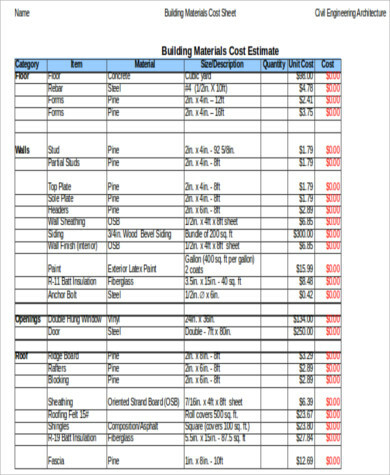 Multiply the area of the roof by the cost of the material (per unit) you will use for the job. Add the other materials needed for the job plus your service charge. Your service charge will depend on the number of people who will be involved in the roofing job. 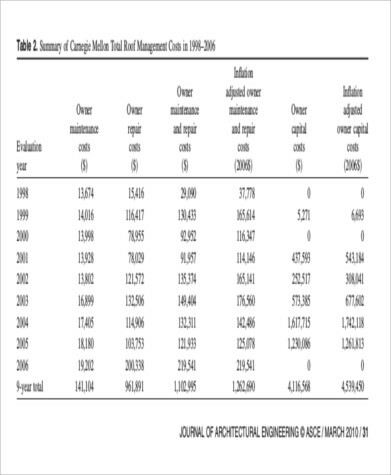 If you need to rent any equipment, you should also add this to the estimate. Put into mind the number of days that the equipment will be used. Add it all up. The sum is your roofing estimate. complete details with regards to the roof such as the dimensions, is it slope or flat, current roofing material, roof-deck type, the number of penetrations on the roof, mechanical equipment (if any), gutters, downspouts, and panel profiles. 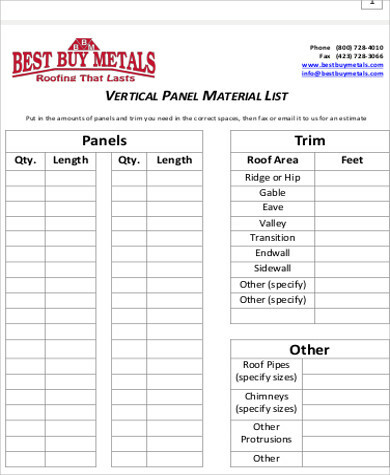 Both startups and established roofing businesses can make use of the roofing estimate form templates presented in this article. These can help make your templates look professional and polished without having to exert too much energy in making one. Listed below are some of the reasons why using the templates available in this article are seen to be beneficial. You can easily download these forms since they are very accessible through this website. Whichever type of gadget you might be using—may it be a PC/laptop, mobile phone, or a tab—you can download these forms with no problem at all. All of these forms are downloadable free of charge. The best thing about these forms being free is the thought that they are high-quality templates. 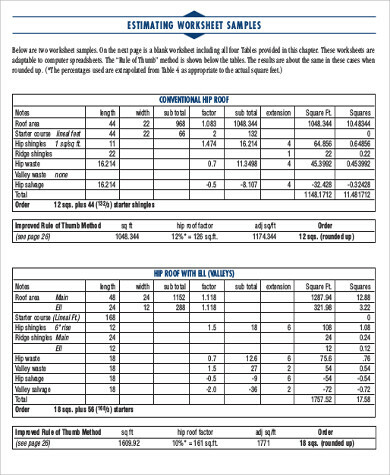 These templates are available in two file types—Excel (.xls) and PDF (.pdf) file. These file types are very convenient to edit and save in your chosen storage device or gadget. Since these are lightweight file types, they will not take up a lot of memory space, plus, they are also very easy to attach in e-mails should you prefer to have these documents e-mailed to your clients. Are you into remodeling of houses? 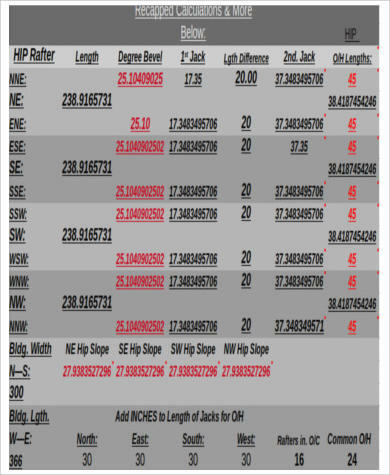 You may want to check out our Remodeling Estimate Samples.